Some of you who practice Mindfulness might wonder why I did not say "Take a deep, cleansing breath" instead of simply "Take a Breath." The reason is that I have a tendency to hyperventilate. When one hyperventilates they do not expel enough carbon dioxide. It used to go somewhat like this for me when I am experiencing a panic attack. This is an example of my mind talking. 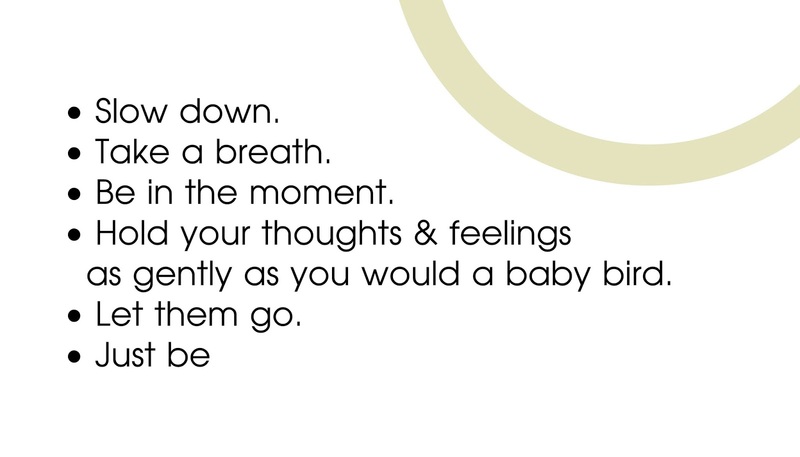 "Take a deep breath. No. I am feeling like that was not deep enough. I feel like I am not getting enough air. Take another one. Try to make it deeper this time. That's it, just keep taking deep, deep breaths. Uh oh. I am starting to feel tingly all over. I feel light headed, like I might pass out. 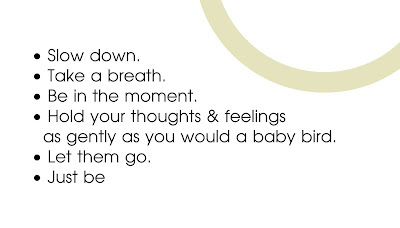 Take more deep breaths. This is not helping!" So, I suppose I could have said "Take a deep breath. Just one, and make sure you exhale." But, I decided to just make it simple. Just breathe normally. Pay attention to your breath, but do not hyperventilate. A few years ago I ran across an article about breathing in yoga. I cannot remember the numbers to count to while breathing, but it said that you need to actually exhale for a longer count than you inhale. I wonder how many of us actually hyperventilate a bit on a daily basis without even knowing it. Creating this new venture--CenterRings--I wanted to include a few words that might help explain the intended purpose of these necklaces. As I am no expert on Mindfulness, I decided the best thing to do was somehow describe how I try to practice Mindfulness. The following is what I came up with, along with a bit of further explanation from my own experiences. In this post I will describe a bit about what I mean by "Slow down." My introduction to Mindfulness was quite a few years ago. I was forced, you might say, to deal with my thoughts and feelings because of recurrent panic attacks. If I did not get some help, I felt I was going to end up institutionalized or confined to my bed. For most people, learning to practice Mindfulness is not as critical as it has been for me, but over the years I have seen how the practice can be beneficial for all of us. Even when I am not in the midst of an overwhelming panic attack, I have seen how becoming more aware of my thoughts and feelings can affect the way I function day to day in a positive way. So, slow down. What does that mean for me? One of the things my mind does when I am having a panic attack can be described as "spinning." Yet, I have become aware of how my mind has a tendency to do that even when I am not having an acute panic attack. When I notice this spinning, it is a little red flag that I need to slow down. Being aware of my thoughts and feelings might be the first step, but slowing down helps me do that. Awareness and slowing down tend to go hand-in-hand for me. 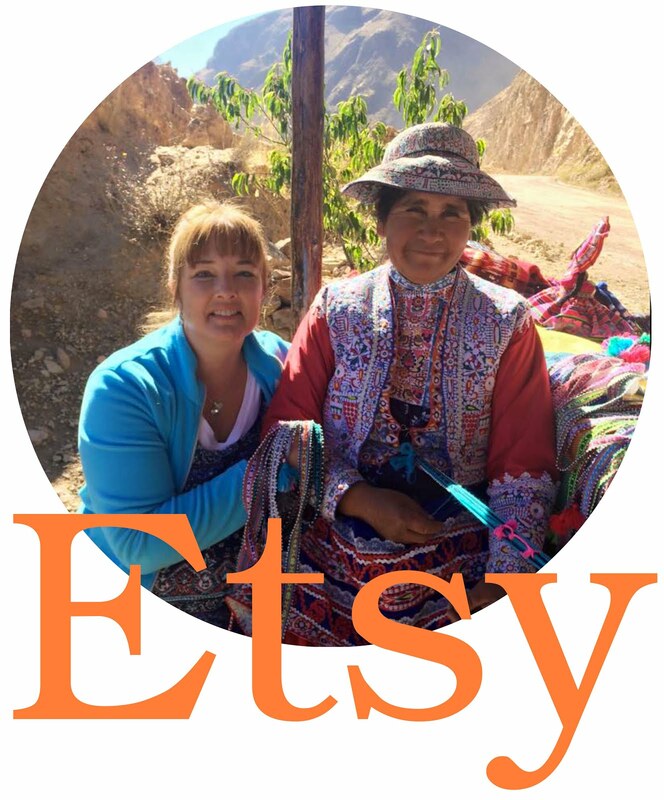 New CenterRings Etsy Shop Opening Soon! Coming Soon - CenterRings on Etsy!